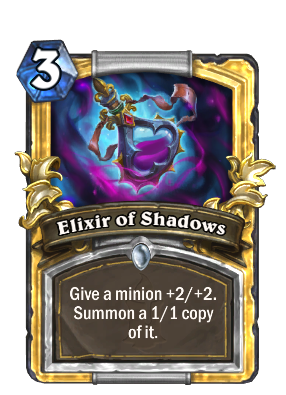 Witchwood was announced, but it's not out yet. Need something different to hold you over? 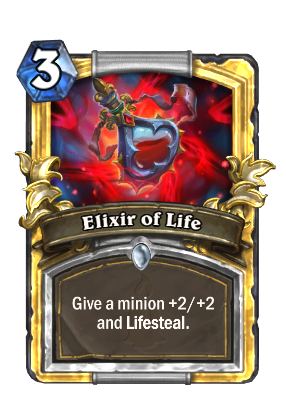 Here's a different spin on OTK Priest which takes advantage of a Djinni of Zephyrs and Unidentified Elixir. These two cards don't see much play but are incredibly fun. I will be writing a guide later this week likely on Tuesday. For now I'd like to say that while Djinni is a win condition he is not crucial for the win at all. I'd focus most on learning to get the most out of draw mechanics from Pyromancer/Acolyte/Northshire Cleric. EDIT: Djinni doesn't gain charge anymore? Bummer! 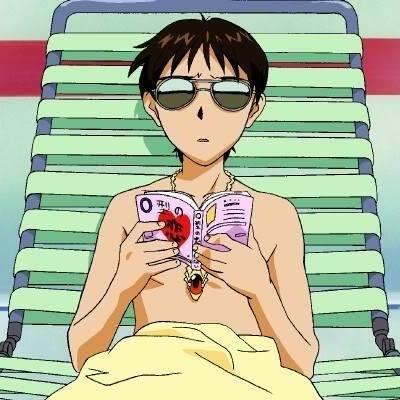 Any updates, what about eg. Lady in White? She doesn't provide enough value to the deck. No updates for now. I removed 1 Acolyte of Pain and replaced it with a copy of Lyra the Sunshard to maximize fun value! Nice deck, I moved from rank 19+one star to rank 15+two starts... with no loose. Even without Shadow Visions (which I will craft for complete it). Which card did you drop for it in your build? Definitely going to have a tinker with things and try a few of the changes you mentioned! No worries, thanks for the sweet deck! Is there maybe a space for Lyra the Sunshard? 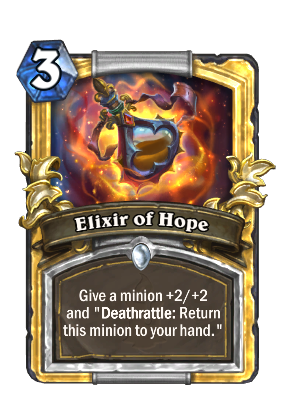 Lyra can replace one Djinni or Elixir. Lyra is my favorite legendary so I definitely see no issue with that. Binding Heal is a pretty handy card for this deck. 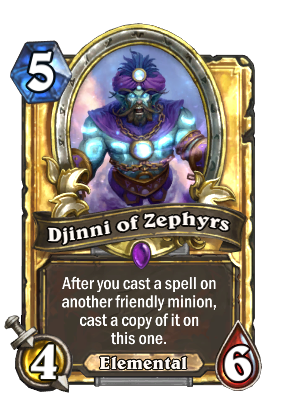 I have been playing with a variation of my own, and when you cast binding heal on another minion, the Djinni of Zephyrs gets healed whether needed or not, and then your hero gets an extra 5 health again. Coupled with Shadowboxer which isn't great, but can be fun, this works out even better. 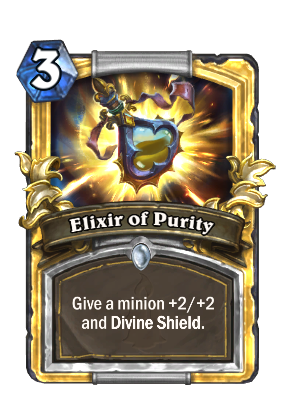 Most of the time, I find beefing up a minion like Radiant Elemental with Power Word: Shield and Divine Spirit helps end the game quickly, or at the very least draw aggro.